What car or truck would Darth Vader drive? 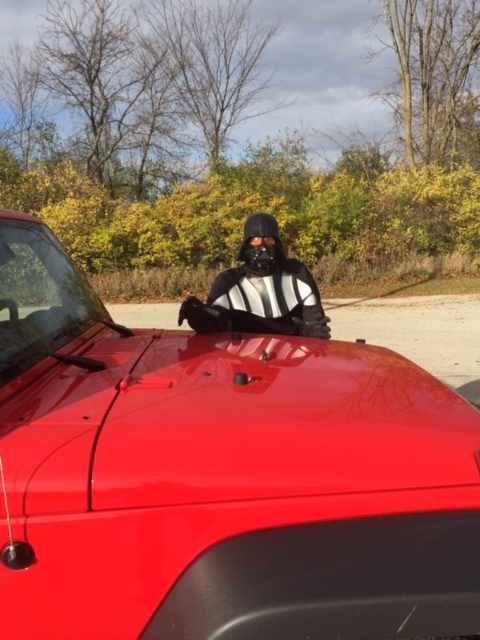 Today is Halloween and decided to wear my Darth Vader costume. I came up with the idea of this wacky post while I was driving into work this morning, wearing the costume. Wish I could have used the forces of the Dark Side to get the pokey drivers going. Yes, I got looks, lots of them, and smiles. I’ve seen all the Star Wars movies and thinking back did not remember seeing any scenes where Vader drove a vehicle. Probably because that was so last year by then. I do remember him flying a TIE Advanced x1 fighter in the first move when the Rebels were attacking the Death Star. Luke Skywalker was leading the attack and the only one who had a shot at him was Vader. His personal ride was Super Star Destroyer Executor, the premier command ship of the Imperial Navy, and the first of the Executor-class Star Dreadnought line. OK, am I getting way to geeky on this. Yes, I am a Star Wars fan. Saw the first movie Star Wars Episode IV: A New Hope which came out in 1977 14 times. I know, it’s a sickness now spread to my daughter. So let’s say we, in this case, me, change some of the assumptions with Star Wars. Let’s say they did drive cars and trucks. I can see Lord Vader driving one of the following. You will note two things in common, they are all, of course black, and fast. All the ships of the fleets in the movies featured Ion Drives and used Hypermater for fuel. Some of the rides below are hybrids with lots of technology. I also need to take into consideration that he’s a big guy, 6 ft. 8 in. tall in his armor, according to Star Wars Blueprints: The Ultimate Collection, so he’ll need a ride with lots of leg room. Vader would feel right at home in this car with all the technology built-in. This one is powered by volts. The Model S acceleration is instantaneous. When Vader stomps on the accelerator in as little as 2.8 seconds Model S is travelling 60 miles per hour. I picked this over the Challenger because Lord Vader’s a big guy. 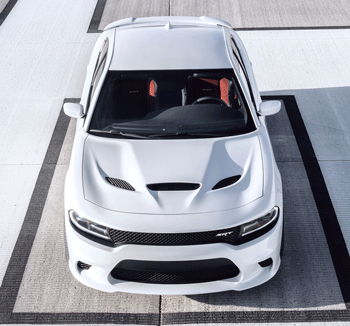 I know it’s not black but does have that Stormtrooper look.Powered by the supercharged Hellcat V-8, it produces 707 horsepower and 650 lb-ft of torque, which turn the Dodge Challenger SRT Hellcat from a mere muscle car into a five-seat supercar capable of hitting 60 mph in 3.6 seconds and passing the quarter-mile in 11.7 seconds at 126 mph, in a Car & Driver test. I heard that a Hemi Jeep coming next year. 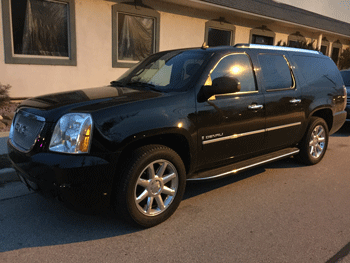 With 42.8 inches of headroom and 45.2 inches in leg room this gives the big guy plenty of space to stretch out. With similar dimensions in the back he could have five Imperial Stormtroopers come along with him. It’s no slouch when it comes to getting to a place where the Rebels are either. In a Car & Driver test in a straight line—60 mph came up in 5.5 seconds, or exactly the same time it took the Porsche Cayenne GTS. I saw, and heard one of these, at Road America in May and man does it rip. Not a lot of interior room but does this scoot. 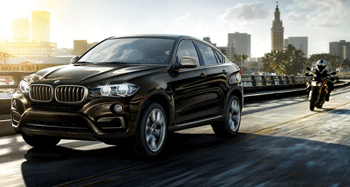 With a twin-turbo, 4.4-liter V-8 with 445 hp the vehicle will accelerate from naught to 60 mph in only 4.8 seconds. With Lord Vader in the lead I envision a whole bunch of Storm Troopers following behind on one of the Beemer motorcycles. I’m sure there are others Lord Vader would like too. You don’t have to be a Star Wars fan so go ahead and chime in. Welcome to the Dark Side.